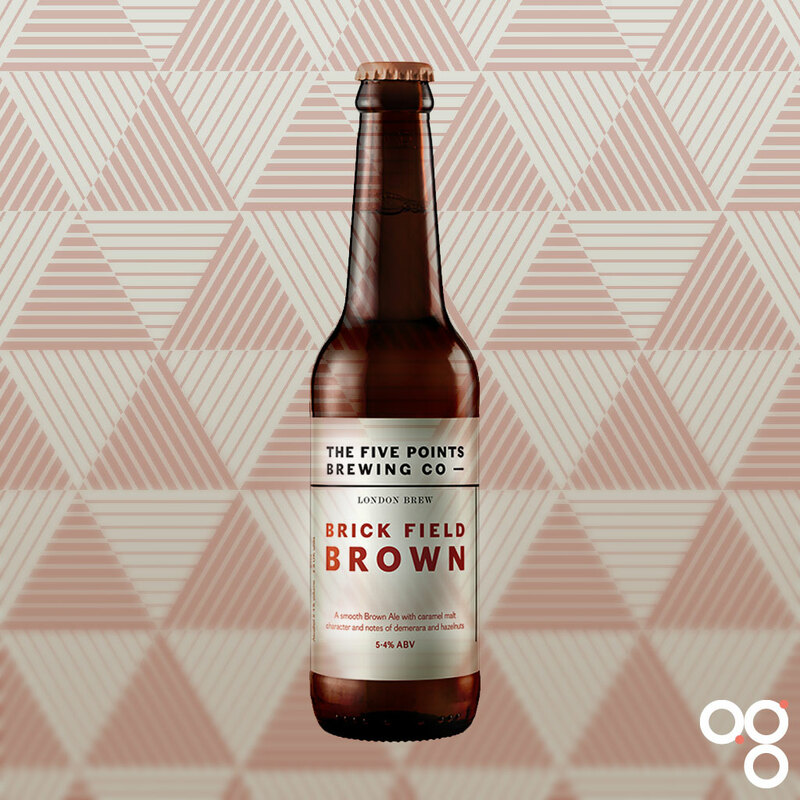 Here’s your cheat sheet for Brick Field Brown by The Five Points Brewing Company. Featured in main subscriber box on 17 January 2019. Find The Five Points Brewing Company on Twitter at @FivePointsBrew and on Instagram at @fivepointsbrew. Serve this beer between 10°C and 13°C; stick it in the fridge for one hour. Our take on the traditional English brown ale, coupled with floral American hops. Malt-forward and robust, with earthy aromas and flavours of demerara, smooth oak and hazelnuts. Balanced by the floral, elderberry-like aromas of the Willamette hops. This is English brown ale, rebooted. The flavour descriptors for Willamette hops are: blackcurrant, spicy, floral. This robust beer should pair well with hearty food: roast pork; smoked sausage; bresaola; soppressata; perhaps grilled salmon if you’re in the mood for fish. For veg think earthy. Mushrooms (shiitakes or morels); beans; caramelized onions. For desserts, almond or maple walnut cake should work; pear fritters; cashew brittle; and white chocolate apparently. Sounds interesting! For cheese options try aged Gouda or Cheshire. Read more on this beer from BeerBods and The Five Points Brewing Company. You can also check out some of the previous cheat sheets if you want to catch up on a beer from past weeks. Newer Post Fuller’s Asahi buyout: a sad day for brewing in London	Older Post Who needs champagne when you have gueuze?